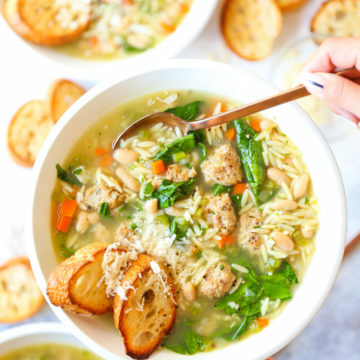 Successfully saved Spinach and White Bean Meatball Soup to your Calendar. You can also save the ingredients to your Grocery List. My favorite cozy weeknight soup! Made so hearty with white beans, spinach, and the most tender chicken meatballs!